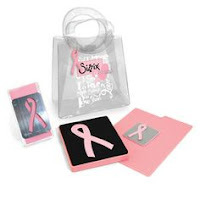 I will take the cause further and make Pink Cards to sell and they will be or sale on EBay 50% of the final sale price will go to WearItPink.org. and the rest bearly cover cost of making these. I will also use a discontinued stamp by There She Goes clear stamps called Winning the race. 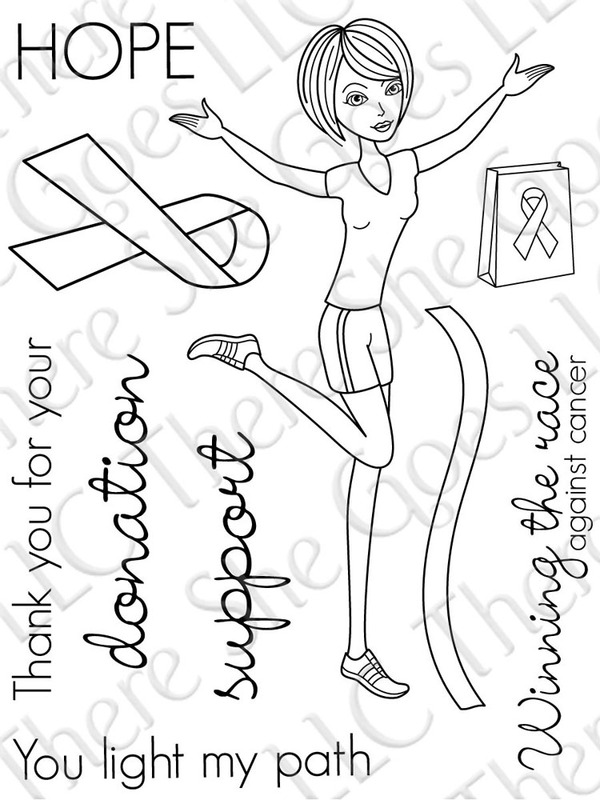 Kristy K. contacted Jessie Knutsen back in April 2010 with an idea for a stamp set about a cause that was close to her heart- Cancer Society's Relay for Life. Jessie got caught up in her enthusiasm and knew that this was something that she wanted to pursue and Winning The Race mini set was born. Winning The Race is a 3x4 stamp set that includes a total of 10 stamps and sold for $7 (with $4 donated to the American Cancer Society). It was a great little set then and is still a great set now. Here is a quick preview of what her design team came up with. I hope she does not mind that I grabbed these images from her blog but as the company closed in December 2013 I have not been able to get hold of her to ask permission. You can find full size images of the cards on Pinterest. Let me know what you are doing for Wear it Pink this year and I will be more then happy to link to you blog.